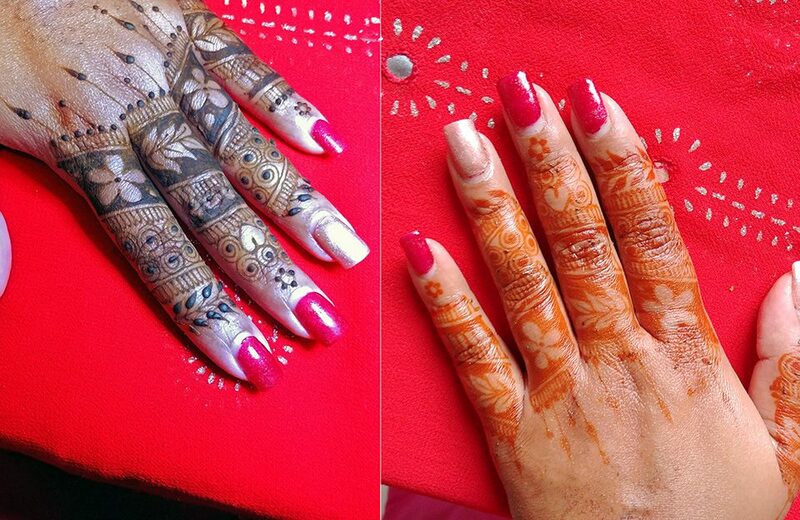 What is Henna and Jagua? When you are using natural chemical-free henna, there is no instant dark henna stain after 30 mins of application. Natural henna requires some patience and proper aftercare. The secret ingredient to dark henna is: Heat. 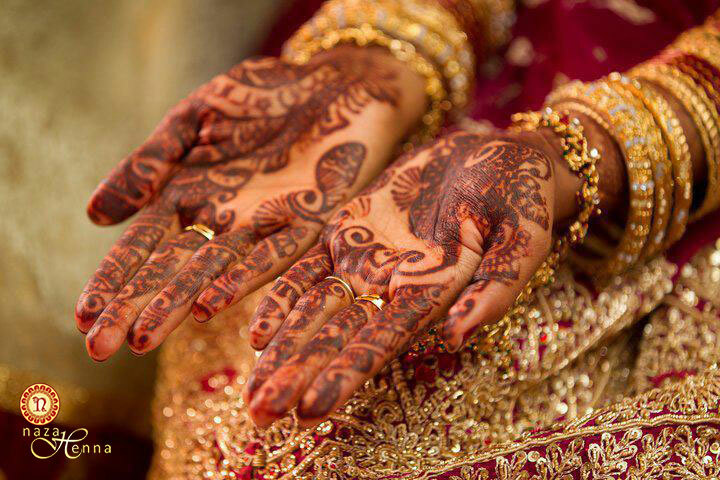 Henna comes from a part of the world that is hot and humid, not air conditioned. AC is dry air and that dries out the henna and doesn’t promote dye-release. So, If you don’t have the luxury of a hot or humid day, as we do in South Florida, it’s even more important to seal and wrap the henna. 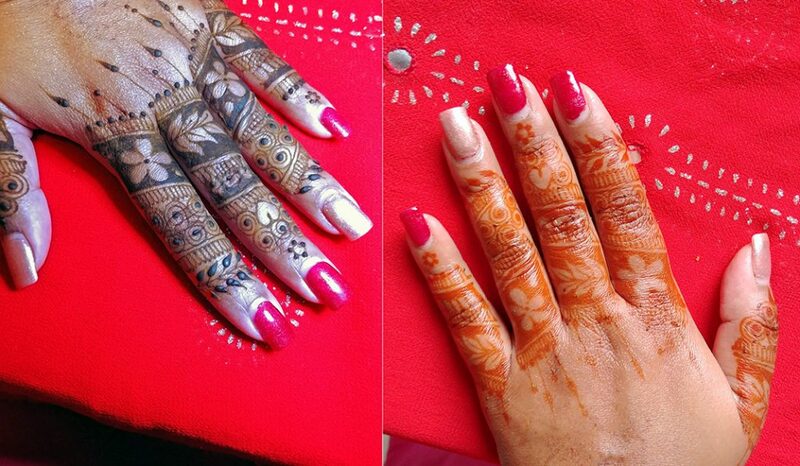 After the henna is dry, wrap it with layers of TP and tape it off. For the fingers and toes, wedge some TP in between – so they don’t stick together before wrapping in full. This method, although not so pretty, allows your body to get nice and warm, while protecting the sheets from any flakes of henna during the night. The TP will absorb some sweat overnight and help prevent smudging. After the henna is dry, one layer of this should do the trick, however this method requires a bit more attention and responsibility. If you begin to sweat and don’t notice, the designs will smudge and you risk a big mess! This is great for a couple of hours, especially at an event where you don’t want to walk around with toilet paper! This method also allows you to make better use of your hands and fingers, by wrapping the fingers separately. Make sure to poke/cut lots of holes all over to ventilate. 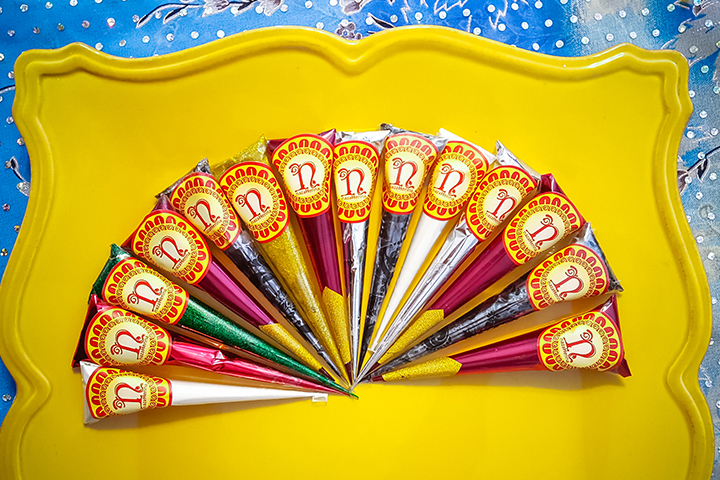 This is a bit more tedious and can get expensive, but when done right, also helps you remove the henna in the morning much quicker – the dry henna sticks to the adhesive and peels right off! Here’s one that works well: Click Here Medi-tape is also breathable, so no worries on sweating and no concerns on movement since this is stuck to your henna. This is the best method out of the 3. Remember, the goal is to keep your henna warm, toasty and humid, but not sweating! Using any of the above methods or simply sunbathing will do the trick. Wrapping the henna over night is the easiest, then just wake up and scrape the henna off in the morning! It will be a bright orange at first but within 24-36 hours the color will continue to develop resulting in a rich dark henna stain. Jagua is Not Black Henna, So What is It?